The Program Management Review is a meeting for all of the America Makes Members to meet and discuss the status of projects. CWRU and CMU are leading a team of Universities (CWRU, CMU, WSU, UL, NCSU), Companies (GE, P&W, Lockheed, Kennametal, Bayer), and Government Labs (NIST, ORNL) to investigate Rapid Qualification Methods For Powder Bed Direct Metal AM Processes. Mohsen Seifi, Doctoral researcher and Jessi Booth master student made four presentations at the 2014 TMS annual meeting in San Diego. Presentations included topics on: Fracture and Fatigue Behavior of Titanium Aluminide (Mohsen); Sensitization Effects on the Fatigue Properties of Al-Mg Naval Alloys (Mohsen) and two talks on bulk metallic glasses by Jessi Booth. 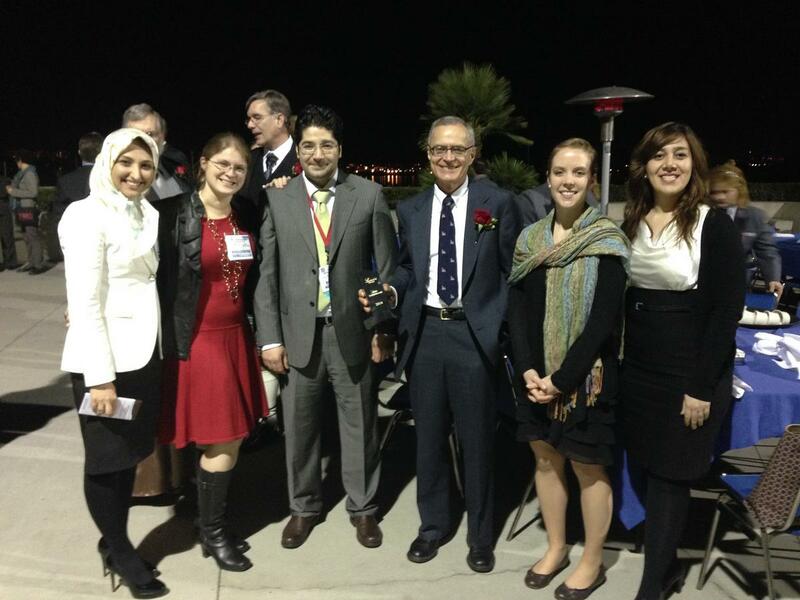 Shown above are Narges Seifi, Professor Jennifer Carter, Mohsen Seifi, Professor Lewandowski, Jessica Booth, and Azin Akbari. 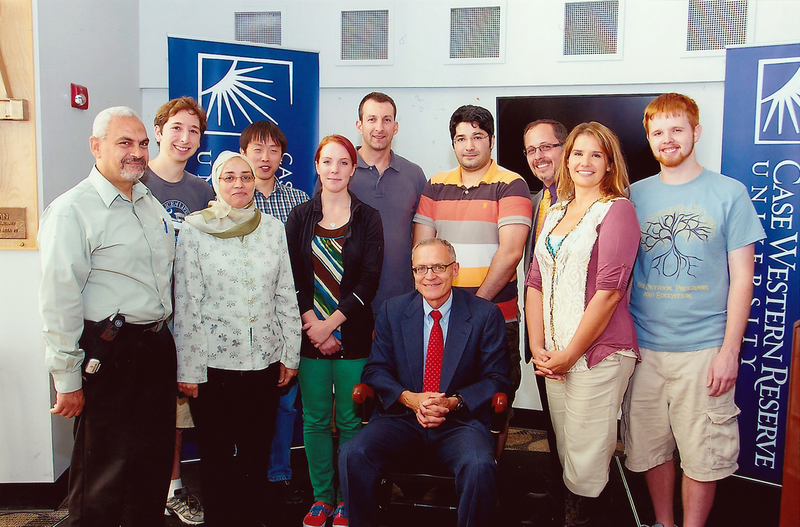 John Lewandowski (seated), professor of Materials Science and Engineering, has received the Arthur P. Armington Professorship in Engineering II. Professor Roger Quinn from the Department of Mechanical and Aerospace Engineering is the other holder of the Armington professorship. Established in 1968, the professorship was created by the Armington family in memory of Arthur P. Armington, a Case Institute of Technology 1915 graduate. In January of this year, the university Board of Trustees approved amending the professorship to establish a second chair. 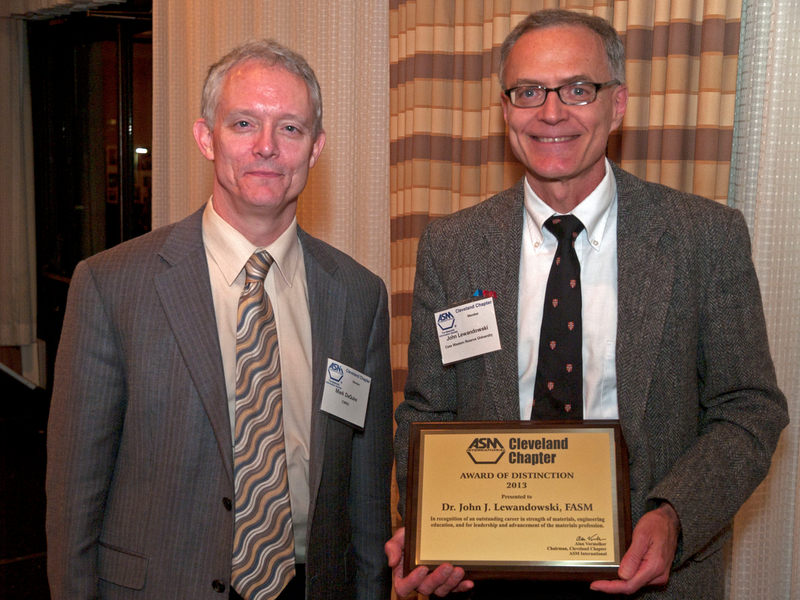 Prof. Lewandowski received the ASM Cleveland Chapter Award of Distinction for 2013. Prof. Mark Deguire presented the award at the Oct. 14 2013 chapter meeting. Micah Jaffe, senior at Hawken High School spent summer 2013 working on superelastic Nitinol with graduate student Janet Gbur in our group. 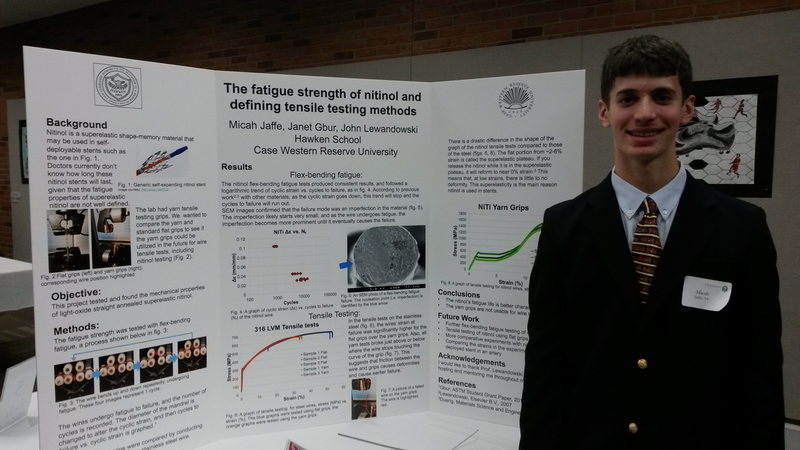 He presented his work at the Hawken STEMM Research Symposium in Fall 2013, as shown below. 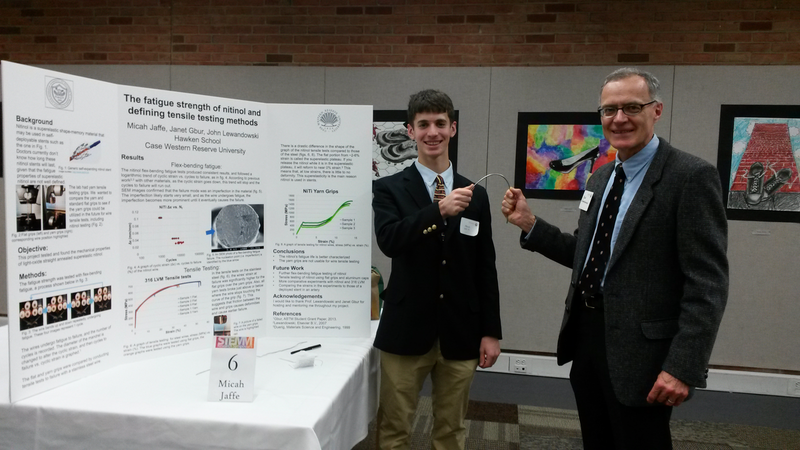 Photo 1: Micah Jaffe, Senior, Hawken School STEMM (Science, Technology, Engineering, Math and Medicine) Research Symposium, "The Fatigue Strength of Nitinol and Defining Tensile Testing Methods"
Photo 2: Micah Jaffe and Professor Lewandowski demonstrating superelastic properties of Nitinol tube. 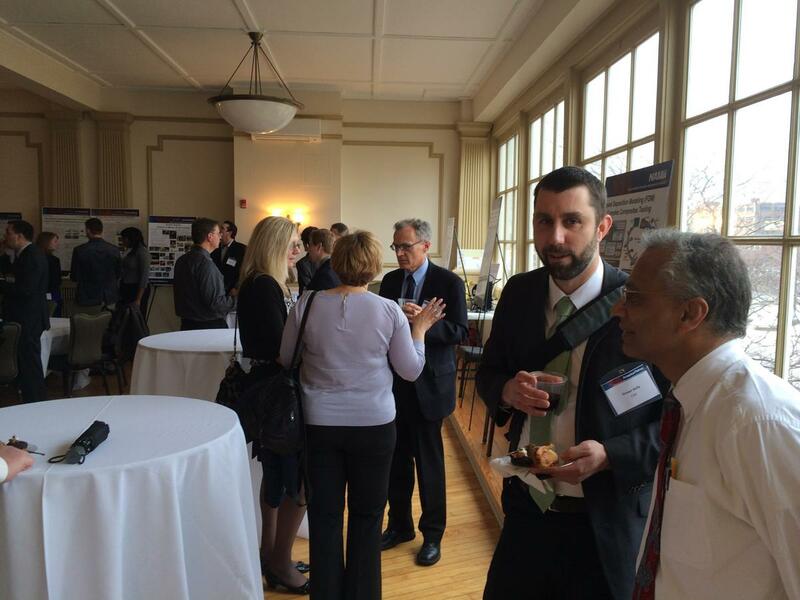 Mohsen and Matt Dahar, doctoral researchers in the AMMRC at CWRU with Professor Lewandowski, attended the ASM Educational Symposium on Additive Manufacturing. Mohsen Seifi, Matt Dahar, Ron Aman, Ola Harryson, Jack Beuth and John Lewandowski have published a paper in a special issue on Additive Manufacturing in the March issue of Journal of Materials (JOM). One of our journal papers was recently selected as one of the landmark articles published in Nature Materials over the past 10 years.